American Municipal Power, Inc. (AMP) is a diverse team led by President/CEO Marc S. Gerken, PE. AMP invests in talent and experience. Our executive management has a combined total of more than 150 years of experience working for AMP and public power and serves as leaders in the electric power industry. 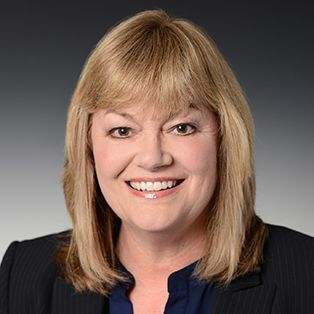 Marcy Steckman serves as senior vice president of finance and chief financial officer (CFO). Steckman joined AMP in 2013 and served as chief accounting officer until July 1, 2016, when she assumed her current position. She is responsible for all treasury, cash management, debt management, financial planning and analysis, financial reporting, member credit and member billing activities. Prior to AMP, she held similar financial leadership positions with American Electric Power, Ohio Power Company, Huntington National Bank and Nationwide Mutual Insurance Company. Steckman holds a Bachelor of Science degree in accounting from the University of Akron and is a Certified Public Accountant in the state of Ohio. She is a member of the Ohio Society of Certified Public Accountants and the Central Ohio Association of Financial Professionals.